Cyberguys is your source for hard to find technology solutions. Located in Rancho Cordova we are central to the greater Sacramento area and El Dorado County, making us your #1 location for low price networking, computer, and mobile accessories in the area. Shop the Cyberguys® Online Store, call our customer service team 24/7 at 1.800.892.1010, or visit us at our Cyberguys® Retail Store. Click Here! For Mapped Directions to the Cyberguys Store! Take exit 18 for Sunrise Blvd and turn left at the first light. Continue down Sunrise and stay left to remain on Sunrise Blvd. When you approach White Rock get over into the left hand turn lane and go left at White Rock Road. Cyberguys® is located across the street from Costco in the front end of the E-Filliate building at 11321 White Rock Road. Take the Zinfandel Drive exit and go right onto Zinfandel Drive while looking for signs for White Rock Road. Take the first left onto White Rock Road. Continue down the road, pass through Sunrise Blvd. and Cyberguys® is located across the street from Costco in the front end of the E-Filliate building at 11321 White Rock Road. When coming from within town make your way towards the intersection of White Rock Road and Sunrise Blvd, continue as if you were heading towards Costco. 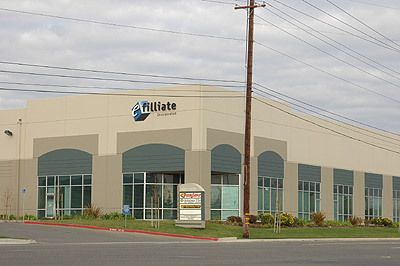 Cyberguys® is located directly across from Costco in the front end of the E-Filliate building at 11321 White Rock Road.